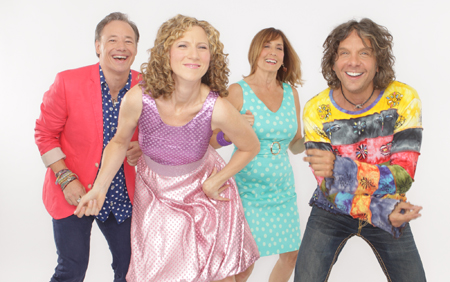 Kids’ music star Laurie Berkner and her band will play a greatest hits concert at the Great South Bay Music Festival at noon on Sunday, July 17, at Shorefront Park, 99 Smith St. in Patchogue. The show will include such songs as “Victor Vito,” “Drive My Car,” “Bumblebee (Buzz Buzz),” “We Are the Dinosaurs” and “Pig on Her Head.” Kids should plan to bring their dancing shoes and a stuffed animal (for their heads). Berkner currently stars in the animated musical short-form series “Sing It, Laurie!” on the Sprout preschool channel and has made regular appearances on Sprout’s “Sunny Side Up” morning show. Berkner is also a presence on SiriusXM’s “Kids Place Live,” where her “The Music in Me Minute,” featuring tips about incorporating music into family life, is heard daily. Berkner’s 11th album, Superhero, will be released in September. Click Here for the full article.